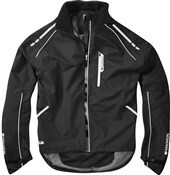 The Endura Gridlock waterproof jacket is a true all rounder. The mid-weight 2-layer fabric is 100% waterproof and surprisingly breathable - for a very comfortable ride. A fast wicking mesh liner with rear shoulder vents and underarm vents keep you cool and dry when you?re really putting in the effort. 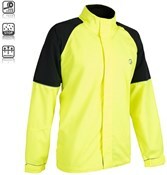 A reflective strip along the chest, back and sleeves give you added visibility in poor and dark conditions. A handy rear pocket is great for storing essentials. If you?re planning to commute this winter then the Endura Gridlock is perfect for you. It won?t let you down - don?t just trust us, check out the reviews. Ordered the XL and fits perfect very high quality feel. High at the front and low at the back ideal for windy days. Waterproof pocket on chest and zippable vents under arms for ventilation. Cant wait to go for a ride to try it out. Well worth the money! 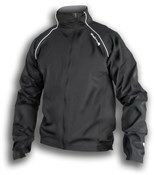 Fair price for a good quality lightweight waterproof jacket. Well made and light enough to throw in your backpack when not needed ! Nice and lightweight but good sturdy quality and feel. Easily packed away in backpack. Waterproof enough to do the job well highly recommended! 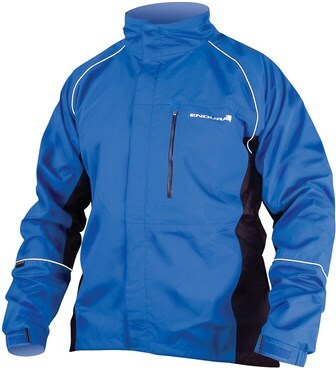 Endura waterproof jacket was amazing excellent value for money. 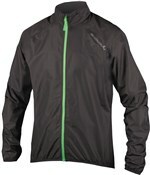 There is a multitude of jackets on the market which creates a mindboggling decision when purchasing. I have to say this is a good waterproof jacket which after a long ride you don't feel like you have just had a sauna.You will sweat but the venting limits it for me to just on my back. It is light and a perfect fit for a 46" chest in XL across the shoulders and arms where some brands come up short. Great mid priced jacket. This jacket is brilliant! It is just warm enough and has good under arm vents. I never leave home without it now it fits nicely into my camelbak mule. I have the bright red one which is great for day and night riding. Sizing is good. I am 6 ft and 42 chest so the XL is perfect with 2 layers under. Reasonably water resistant too. A good purchase at this price.